Asian Books Blog does not carry reviews. The book club is intended as another online platform where readers can offer comments on the month’s selected book, together with my responses - offered because otherwise there would be no sense of conversation at all. May’s pick was On Such A Full Sea, by Chang-rae Lee. This post assumes you’ve read it; if you want a summary see here, but be warned the discussion won't make much sense if you've read only the summary, and not the novel. Lisha from Hong Kong said: I enjoyed thinking immigrants from “New” China might have made such an impact on an America of the future, and also reading about how aspects of Chinese culture had transplanted and thrived. But where is - or was - “New” China? And how did it differ from China? Also, I never really understood how the originals of the B-Mors came to take over the city. What had happened to the residents of Baltimore? If a global catastrophe had struck, why hadn’t it wiped out the New Chinese, too? I agree Chang-rae Lee leaves many details of the origin, operation and political organisation of his dystopia sketchy. I too quite often found myself asking but why…? Or how….? How come the B-Mors have a life in so many ways similar to life in America today, when the global network that makes possible contemporary suburban life in Cincinnati, or wherever, has broken down? How come the tourists from Denmark seem to treat the counties as another planet? Does future-Denmark (D-Mar?) continue much as it is today? How, against the dystopian backdrop, does tourism continue? Was the catastrophe that befell America reproduced worldwide, or not? Is America’s dystopian political organisation reproduced worldwide, or not? For each of the last two questions, sometimes it seems the answer is yes, sometimes no. For myself, I decided to attempt to ignore nagging questions, and to immerse myself as far as possible in Chang-rae Lee’s world, even when the nitty-gritty was neither nitty nor gritty, so to speak. Alison from Singapore said: the cartoon violence was off-putting, and unnecessary. I too was a little baffled by the almost unrelenting grimness. I am sure Chang-rae Lee is right, a post-apocalyptic world would be a miserable place where the humanity and kindness made possible by safety, security, and the provision of basic needs would disintegrate into selfishness, and brutal power struggles of various types, but the world he describes is one where basic needs are met, even for counties people: they are not starving; their children can read; they have electricity and even handscreens for entertainment; many of them have jobs in the charter villages. Granted, inequality is horrible, and a growing problem even within the rich world, let alone between the rich world and the rest, but does inequality lead relentlessly to unprovoked violence, “keeping”, betrayal and so on? If this book were read in the slums of Asia, then how would it make the slum dwellers feel to read it? Would they recognise themselves in counties people? I doubt it. Then again, since the dystopia first evolved, wouldn’t strongmen have arisen in the counties to impose order? Wouldn’t there be some form of government? And would charter people be so different from modern Americans they’d allow “keeping”? Modern Americans wouldn’t countenance slavery. Why would their descendants countenance keeping? Des from Singapore said: Who was / were the we narrating the story? Why were they so interested in Fan and Reg? To me, Fan and Reg seemed pleasant young people, but the only reason for anybody to be interested in Reg was that he was C-free. I can see that would make him very interesting to the Directorate, and to the novel’s big pharma, but was it enough reason for the narrator(s) to be so interested in him? Meanwhile, would the fact Fan had left B-Mor for love, and was carrying Reg’s child, have been enough to sustain people’s interest in her? I think the we narrator, and the unknowability of Fan and Reg, probably went to the heart of one of the things Chang-rae Lee was challenging readers to think about: individuality; how it can be sustained in the actual world we live in; why it matters that we manage to sustain it; how we balance the needs of the individual against the needs of society, the voice of the individual against the voice of the community...and so on. June’s pick is Song for an Approaching Storm, a political thriller set in 1950s Cambodia by Peter Fröberg Idling, translated from Swedish by Peter Graves, published in paperback by Pushkin Press, priced in local currencies. In 1955 Cambodia is on the brink of its first democratic elections. Sar, a quiet, likeable man in his early thirties, is campaigning for the opposition, but secretly working for an armed Communist takeover. Many years later, Sar will become known to the world as Pol Pot, but for now he is a man in love, thinking about his fiancée, Somaly: the outcome of the election will determine whether they have a future together. Vice-Premier Sary, Sar’s political rival, also notices Somaly, and tries to win her affection. Meanwhile Somaly, young, bored, and beautiful, has an agenda of her own. Discussion of Song for an Approaching Storm will be posted on Sunday July 13, so please get in touch with your comments by then. Both On Such A Full Sea and Song for an Approaching Storm are eligible for the ABB Book of the Lunar Year in the Year of the Horse. See the post of Jan 30 2014 for details. If you would like to vote for either title please do so by posting a comment, or contacting asianbooksblog@gmail.com. 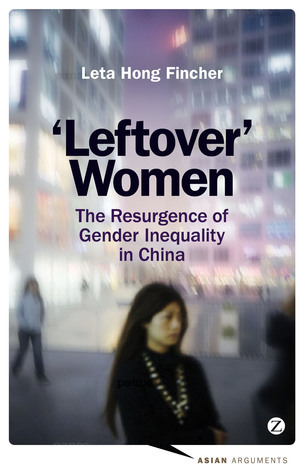 Leftover Women uses personal stories to illuminate how the resurgence of gender inequality has impacted on the lives of women in China today. In the early years of the People's Republic, the Communist Party sought to transform gender relations. Yet those gains are now being eroded. Hong Fincher debunks the popular myth that women have fared well as a result of China's recent economic reforms and breakneck growth. Laying out the structural discrimination against women in China, she addresses broader problems with economy, politics, and development. Leta Hong Fincher is an award-winning journalist who is now based at Tsinghua University. North Korea is a major new history of the world’s most secretive and oppressive state, which includes intimate details of everyday life in the country. It provides assessments of North Korea’s relationships with other Asian countries, notably South Korea, Japan, and China, and also with America. There is up-to-date discussion of Kim Jong-un’s leadership. Paul French is an Asia expert and a best-selling crime novelist. He is based in Shanghai. Both books are published by Zed Books, in hardback, paperback, and eBook, priced in local currencies.